A 400€ inventory deposit will also be added to all bookings. This does not cover malicious damage or misuse and of the fixtures and fittings or structure of your villa. We ask you to leave the property in the condition you found it on your arrival and report any damages or breakages caused during your stay. The property will be checked on vacation. The inventory deposit will be refunded approx 7 days after your return. EXTRA BEDS: An extra bed can sometimes be added to a villa and these are charged at 30€ per bed per night. The owners reserve the right to visit their property at any time and gain access to undertake essential maintenance work, pool cleaning and gardening. 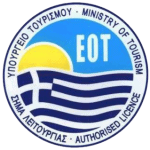 Only those persons named on the booking form “Guests” shall be allowed to occupy the accommodation and under no circumstance may the maximum number of persons stated in the villa description be exceeded, without prior permission from Elafonisi Villas. To assist you in the protection of your valuables the majority of our properties have strong boxes fitted. We strongly advise the use of this facility, particularly for cash, credit cards, jewellery, passports, cameras etc. Water or electricity shortages and water pressure reductions may occasionally occur in high season and supplies may be cut off without notice.